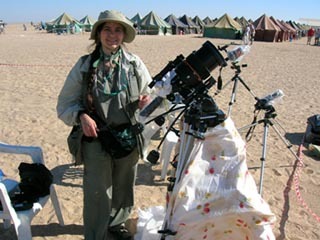 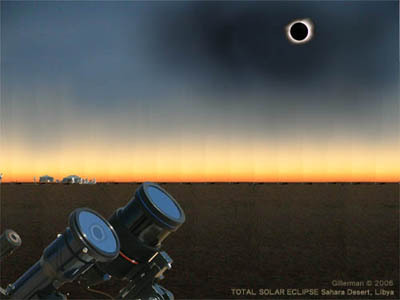 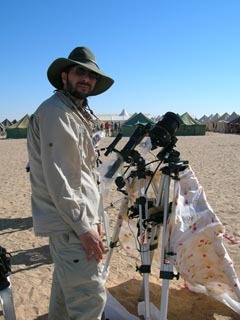 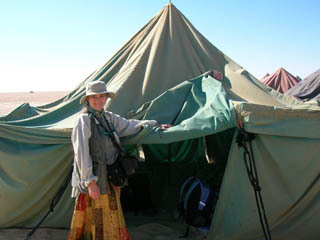 A Tent City was built in the Sahara Desert, about 80 km SE of Jalu, Libya for the 2006 total solar eclipse and accommodated about 1500 people in many groups from all over the world for about 2 days. 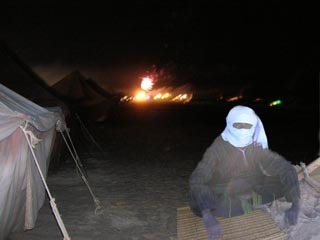 Surrounding this Tent City were locals, Libyans, Arabs and Tuaregs, who at midnight before eclipse morning were in full swing ... celebrating with rounds of fireworks, music, intoxicating drumming and dancing open to anyone curious enough to explore the midnight desert . . .